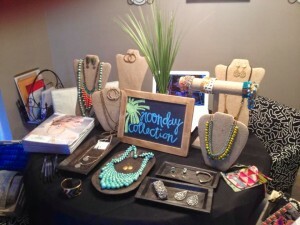 Noonday Collections uses CollaborateCloud to create and share linesheets and tech packs. The design team at Noonday Collections knew there had to be a better way to construct, collaborate, edit and share their linesheets and tech packs. They found that better way with CollaborateCloud. Excel speadsheets limited Noonday Collections’ linesheet creation and functionality. With Excel, data entry was cumbersome and time consuming. Collaborate Cloud allows for a master template and the ability to use drop down multiple choice options for consistent data sourcing. There was also the challenge of mass amounts of info being erased or changed, multiple versions of a working documents floating around, and no log of who/what changes were made. CollaborateCloud tracks changes, creates notifications and workflows based on changes, sets permissions that can limit who can edit, and maintains one working document. Printing a visual copy to reference was another challenge that Collaborate Cloud overcame for Noonday. The ability to print out a visually pleasing copy that contains all of the pertinent information has been of huge benefit. Collaborate Cloud has allowed us on the design team to do what we do best. We can now spend more time in the creative process. Noonday Collections has increased efficiency, accuracy and collaboration. With CollaborateCloud, Noonday Collections is able to create and share linesheets more easily. The product design team now spends more time working on new products and ideas, and less time gathering and collating data.